A few months ago we dug into the OE exhaust system design and function so that we could better understand it and then compare it to the 27WON Performance Front-Pipe Back Exhaust. In that blog we quickly glanced over the downpipe, but today I want us to focus on the downpipe in-depth. First, let’s do a quick once-over on the OE downpipe again to refresh ourselves. The OE downpipe was clearly designed with the bean-counters in mind. The manufacturing cost has triumphed over performance so the cost to you is as low as possible. Let’s be honest though, Honda is producing hundreds of thousands of these downpipes so yeah, cutting cost is fair. HOWEVER, this means there is room for improvement and power to be gained for you! So let’s start from the top. The turbine in the turbocharger is designed to extract energy from the exhaust gases that pass through it. It extracts this energy via the delta temperature and delta pressure across the turbine wheel; so by definition, the greater the delta the greater the potential efficiency. Note; I am greatly simplifying this, but for the sake of what the downpipe is concerned this is pretty accurate. When we began the process of developing the 27WON Downpipe, our goal was to increase this efficiency as that would provide us the best possible gains in peak performance and response. Obviously by removing the OE catalytic convertor there is a significant reduction in post turbine back-pressure. This alone makes a huge difference, but anybody can do this with a flange and some pipe. We wanted to take this a step further in the design to really get the most out of the turbo and downpipe system together. Not only does the 27WON downpipe reduce back-pressure to enhance peak performance, but it also adds volume to the downpipe which is key to improving response. The large volume right at the exit of the turbine wheel allows the turbine to experience a longer period of time at a higher delta pressure. This helps the turbo spool faster and operates more efficiently. Now you may be thinking that’s not a big deal with the stock turbo, but when larger frame turbos start hitting the market, these extra details will start to add up and make quite the difference to the performance and drive-ability of your Honda Civic. We don’t want you guys to worry about that later, that’s why we designed the downpipe with that in mind now. There’s some other awesome design features in this Civic 1.5L Turbo Downpipe that really make it a well rounded and thought-out performance part. Heat management, fitment, durability, and the block heater… yup. You didn’t know your Honda Civic could have a block heater? It certainly can and it sits right next to the downpipe. If flow is so important then why does the downpipe curve back so much? This quick change in direction is important for fitment and really not that big of a deal with the exhaust flow due to the large internal volume. The reason the downpipe inlet casting curves back is to provide proper clearance for the block heater and the wire extending out of it. Like we’ve said before, we don’t believe aftermarket performance parts should inhibit you from enjoying your car to the fullest and that means no compromises. You can have you block heater and a performance downpipe without sacrifice. If you don’t know about the block heater then check it out with your local Honda dealer as it’s a factory option and an awesome addition to those cold mornings. No more waiting for your car to warm up in the morning. Trust me, you should look into this. There you go! That covers some of the design elements of the 27WON Performance downpipe. 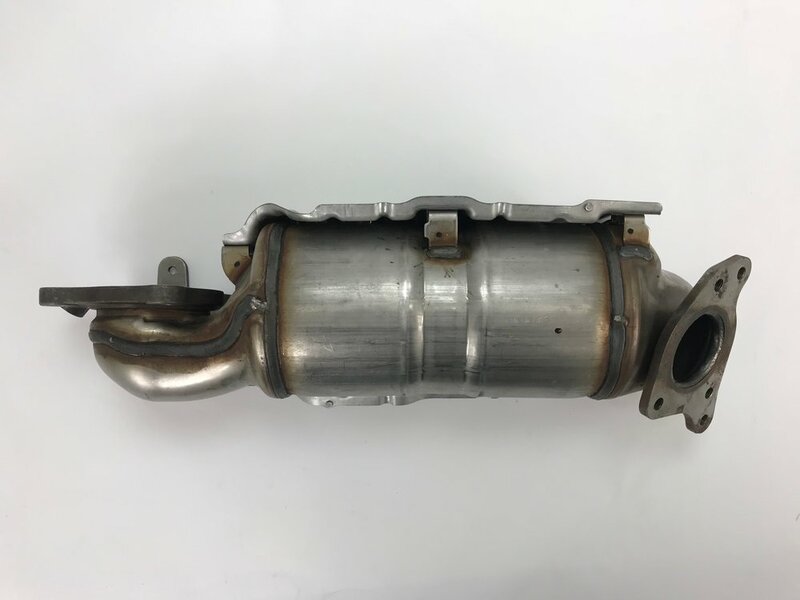 Next up, we’ll look at our fresh castings as they just showed up this week and we’ll dig into more of what makes this Civic downpipe much more than just a piece of pipe. Thanks for tuning in with 27WON Performance.